A unique collection of Shakespeare's soliloquies, each introduced by concise and informative editorial notes. This is an edition to complement the highly successful SHAKESPEARE'S SONNETS and is published in commemoration of Shakespeare's birthday. 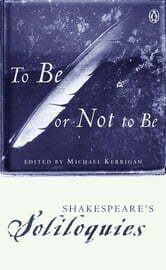 Aperfect book for Shakespeare lovers and enthusiasts.